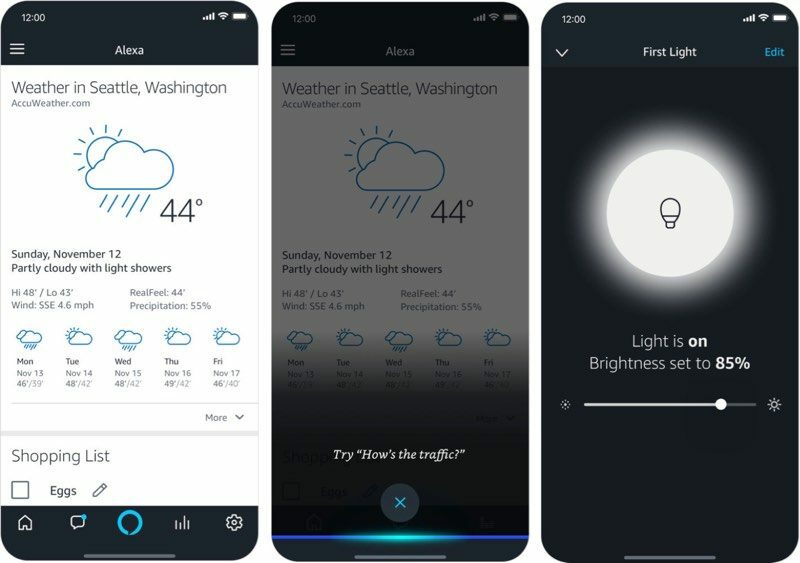 Amazon today updated its Alexa app for iOS to add a promised voice control feature that's designed to allow iOS users to tap the Alexa button and use voice commands to ask Alexa to play music, answer questions, check the weather, and more. As noted by TechCrunch, Amazon introduced voice control to its Alexa app for Android back in January, and at the time, said the feature would be expanded to iOS devices "soon." Soon turned out to mean six months, but starting today, iOS users can speak with Alexa in the Alexa iOS app and ask standard Alexa questions. There is no native functionality, so pushing an in-app button to activate Alexa is required rather than just saying the "Alexa" trigger phrase. The new voice control feature will be rolled out to all iOS users "in the coming days." Just in case you want it to listen to your conversation and send a recording of it to a random coworker. But as Amazon said, that only happens on rare occasions. Good thing that the app has to be installed by the user then. I'm not sure about Alexa for long term practical use anymore. I have a Dot, but rarely use it. Like.... very very rarely. My mom has one and also never uses hers, and same thing with the three that are in my brother's house. The integration of skills just feels janky to me. "Alexa, ask ______ to do something for me" with very few well-developed skills that I would use consistently. I mean, how many pizzas from Dominos do I really want to order? I'm not sure what the solution is, but I know I'm not alone based on the things I hear from friends as well. Could the whole Alexa headstart be a fad for those who absolutely love to shop? I feel like Google will outflank them because of their natural advantages with data, and Apple's user base will be just fine with Siri as most of the most-used tasks (weather, shopping, and news flashes) are comparable. Siri was first and still far behind from Alexa and google. Please don’t alter what I stated when quoting me. It’s highly disrespectful. I'm guessing you're a BIG Alex Jones fan.